You can safely say that refrigerators are among the top three most important appliances in the kitchen. In earlier times, the aim behind buying a kitchen refrigerator was to preserve food and keep it cold. Now it is not such a simple affair choosing. Today, there are too many styles and designs to choose from. Therefore, it pays to be well informed before you decide to buy. 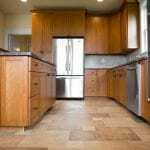 As far as features are concerned, the good news is that today’s refrigerators are a lot more energy efficient than those that were made two or three decades ago, thanks to advances in technology. The most crucial factor while choosing a refrigerator would be the capacity. Your fridge needs to be at least 70% full to give you the best performance; otherwise, it simply consumes energy. Depending on the kind of food items you usually tend to store is another factor to look at. Freezer capacity is also important, so think about what you plan to store there. Slide out shelves are easy to handle. Transparent storage bins let you know what is inside them. There are refrigerators with storage space on the door where you can keep your bottles and other containers. 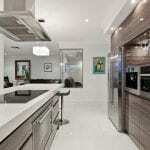 Refrigerator features can easily make your new refrigerator a dream come true or a horror story. When your buying don’t be dazzled by a lot of features that you are never going to use make sure you do some research and really think about what you need for your present, and future, family lifestyle. Please take some time to look at these features and decide which ones you need and are willing to pay for. *In door ice/water dispenser-Handy, and cost effective, if you have someone in the house that drinks a lot of water or needs ice frequently. *Moisture/Humidity controls-Helps retain the moisture, and freshness of food. Useful for families that buy food that needs to be stored for long periods of time. *Airflow vents-Newer refrigerators have multiple vents to allow a more uniform distribution of temperature. Useful for larger refrigerators but not smaller ones that only need one vent sometimes referred to as ‘direct’. *Temperature controls-Either dial or digital controls of the refrigerator compartments. Digital controls are far more accurate then dial but also come with a price tag. *Freezer lamp-Lights the freezer when the door is opened. Useful if you have minimal light or keep a fully stocked freezer. *Reversible door swing-Enables you to change the swing of the door from right-handed to left-handed. A great feature if you move often or if you are not sure where you want to put your refrigerator. *Clean back or coil free-Puts the condenser coils on the bottom instead of the back. Makes it easier to clean and look more attractive. *Open door alarm-Warns you when the door is left open for an extended period of time. Helpful for families with forgetful people. *Door lock feature-Allows you to lock the door. Helpful when you have kids, or even adults, that you want to keep out of the refrigerator. *Separators-Keep items in the bins separated from one another. Handy if you need to keep heavier food from crushing other items or if you just like cooking with fresh ingredients. *Egg racks-Keeps eggs from moving around. If you’re an egg person this is a great item. There are different types of refrigerators in the market today and taking a good look at them can help select the one that suits your specific needs. The basic styles are the top mount, the bottom mount, the side by side and the compact type. Top mount refrigerators have the freezer at the top while bottom mounts have it at the bottom. Side by side refrigerators and freezers are adjacent to each other. Here are some points to consider as you go through your decision making process. Side by side refrigerators consume the maximum energy. The freezer on top option is more energy efficient than the freezer at the bottom option. The freezer at the bottom option is suitable for those who do not use their freezer regularly. Then there are the compact refrigerators that fit nicely into small apartments. Whatever type you choose, you can get one that looks sleek and stylish. You must ensure that the refrigerator can be easily accommodated in the space you have set aside for it. I hope it goes without saying that your refrigerator must carry a good warranty. These days, built in refrigerators are in fashion. 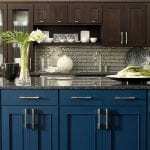 While remodeling the kitchen, the designer opts for custom door panels that make the refrigerator look like it is part of the cabinetry. 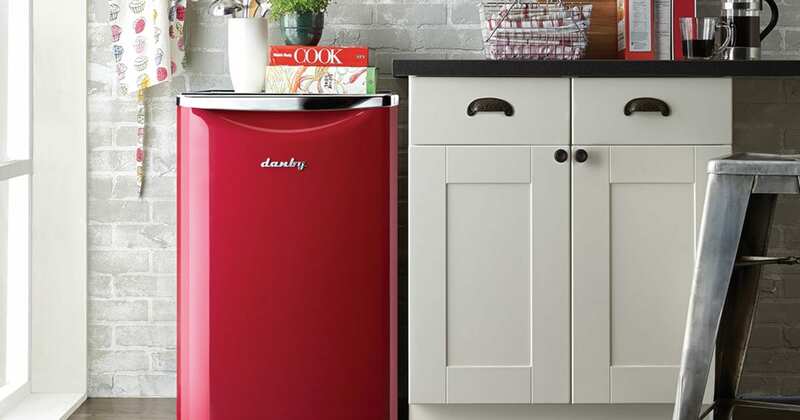 Among refrigerator models, the side-by-side option is considered quite trendy. 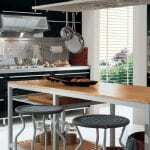 These even come with wood panels so that it can match the kitchen cabinets. Features available in the side-by-side model include the custom fronts and the ice dispenser. These are preferred as they look slimmer and seem to take up less space than the over and under models. Best of all, accessibility is easier as you don’t need to stoop to reach the freezer or refrigerator in the side-by-side models. The side-by-side models come in different interior designs. Models with adjustable shelves are recommended as it gives you flexibility for storage. There are triple door fridges that have a freezer area, a refrigerator area and a third compartment, which could be a chiller to store fruits and vegetables. These are space-hoggers unless you have enough space to place them. Refrigerator features include a variety of conveniences like trim kits that let your fridge blend into your kitchen, a variety of finishes and colors, adjustable shelves and boxes, a quick freezing compartment, the ice and water dispensers, door lock facility, a detachable egg rack, separators for organizing, humidity and temperature control, a smooth back, an alarm that tells you the fridge door has been open too long etc. 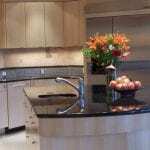 Custom fronts can be chosen if you want your refrigerator to blend into your cabinetry. The side-by-side models can look stylish and fashionable. The downside is the shelves appear narrower than the over and under models. In addition, the water dispenser on the door of the fridge will occupy space inside the unit, which you could actually use for food storage. But there are manufacturers like Whirlpool who have made these dispensers a lot slimmer solving the space problem. Side-by-sides are also more expensive than the over and under models. Whirlpool, GE, Electrolux, LG Electronics, Samsung and Frigidaire are just some of the reputed manufacturers in the market for refrigerators. As mentioned before, different people opt for different designs and features and the manufacturers listed here are all respected across the world for their quality products and service. Cost varies widely depending on which type you choose. Nevertheless, you can get exactly what you want when you know the options available.